As hospitals and health systems move toward a fee-for-value payment structure, the focus of care delivery has shifted drastically from more visits to quality outcomes. Population health has become instrumental in managing patients in risk contracts. Telemedicine solutions are a clear way to address population health management challenges. By adopting virtual care solutions, providers can manage health outcomes across a population of patients. Here are a few ways that telehealth can help. Telemedicine allows providers to treat patients in their home, thus reducing unnecessary travel time for patients. Telehealth allows care managers and health coaches to talk to patients about chronic disease management, while promoting in-office visits for high-acuity cases. Marshfield Clinic in Wisconsin is expanding its virtual care services and envisions using telemedicine to deliver obesity counseling to at-risk youth, provide support to its diabetic population to monitor blood sugar, and to offer medication counseling. For follow-up appointments, providers can save time by seeing patients virtually. 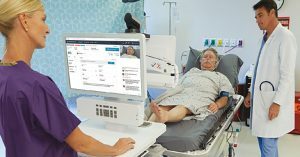 Through a self-scheduling functionality, patients can see a provider at the time of need. This expansion of access is made possible by the convenience of telehealth for patients. 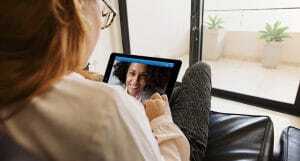 Telehealth connects patients and primary care practitioners to specialists, and offers the opportunity to bridge gaps in care. Specialists can be included in a virtual consult via a Telemed Tablet, or through features such as Multiway video. 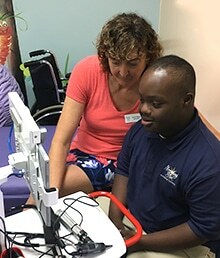 Nemours, based in Orlando, offers school nurses at special needs schools the ability to connect to pediatricians via the Telemed Tablet. Nurses can always get additional support or a second opinion, and pediatricians can see what’s going on via video and offer guidance or follow-up treatment. A health system with an on-demand virtual care service can refer a patient who has a video visit to a specialist within their system. When patients have more access points to a health system, the potential for more complete care increases. Engagement is a key benefit of telehealth. 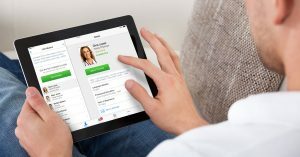 NewYork-Presbyterian recently introduced NYP OnDemand, which allows patients to take advantage of video visits for both urgent care and follow-up care directly through it NYP app (using American Well’s SDK). Its providers can use telehealth for outreach, reminders, and pre-visit planning. Patients can have a routine check-up prior to a procedure, or a standard follow-up appointment after the procedure is complete. Even in a small geographical area like the greater New York area, getting patients to adhere to recommended visits can be a challenge. Telehealth offers a solution that ensures more patients get the care they need. Interested in learning more about how telemedicine is applied to population health management? Download the Southwest Medical case study to learn how this Las Vegas-based multi-specialty medical group used telehealth to meet the needs of its population.